After much excitement and plenty of experimentation and tasting I came up with three delicious and universally popular recipes (well in our house and among my friends they were anyway), using Rachel’s gooseberry, honey and coconut yogurt. We’d already used the cream in the Tipsy Laird, eaten the rice puddings and small pots of yogurt for our lunches (yum) and various flavoured and natural yogurt had accompanied crumble and cake, so it was time to try out a few new recipes. I started with the gooseberry yogurt which I combined with home-made meringue, crispy on the outside, soft and gooey in the middle, broken into rough pieces and topped with a tart gooseberry puree to make a gooseberry Eton mess. It really was a very gooey mess, but the silence round the table and smacking of lips said the experiment was a success. mmmmm fresh ice cream every day! In the meantime I received some new kitchen equipment, one of the items being a Magimix Gelato 2000 professional ice-cream maker. Set on giving it a try out, I decided to kill two birds with one stone, try the new machine and make some ice cream with one of the pots of yogurt, so off I went in search of frozen yogurt recipes. Most of them were American and referred to the frozen yogurt dessert annoyingly as a ‘fro-yo’, popular in the 80’s and now experiencing a bit of a renaissance. There were one or two coconut fro-yo recipes so I had a look then went off and had a tinker. Half a cup of castor sugar (in American measurement), 1 large tub of Rachel’s organic Greek style coconut yogurt and half a tin of thick coconut milk. 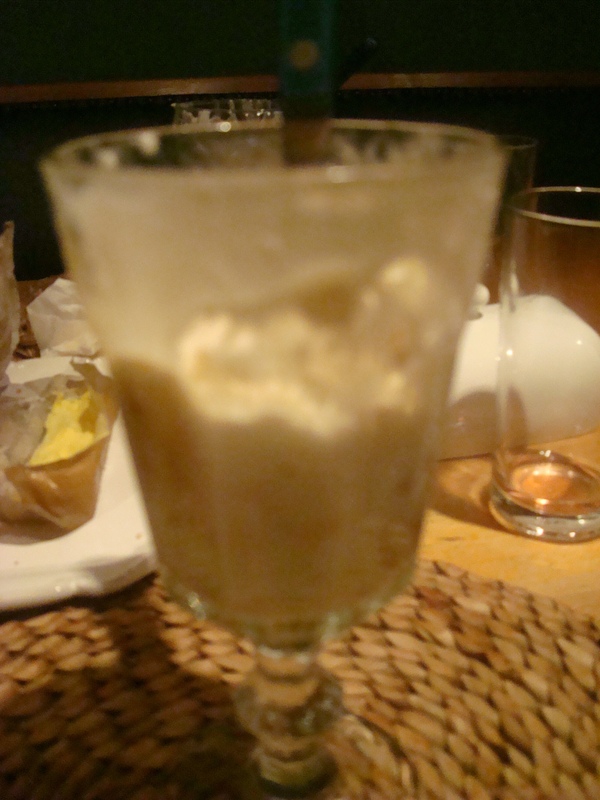 Stir together to dissolve and combine the sugar then put in an ice-cream maker until it forms a thick creamy consistency. 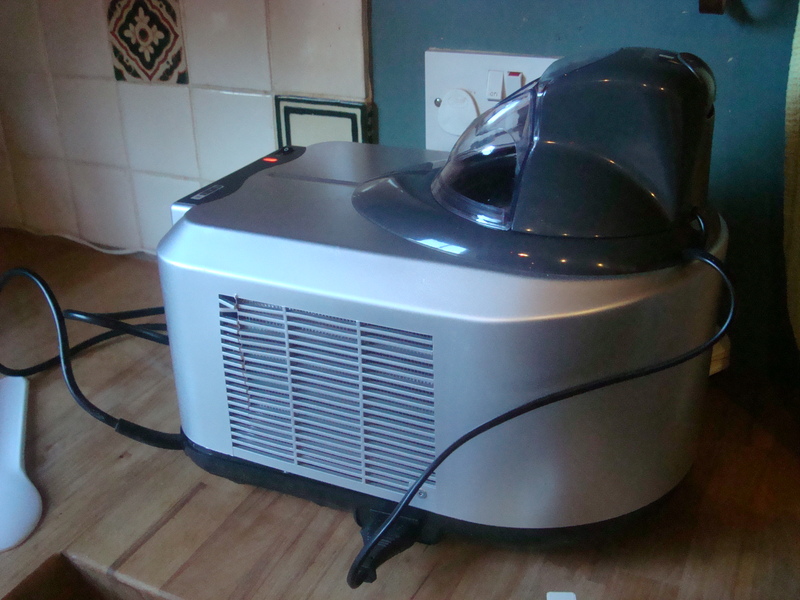 If you don’t have an ice-cream maker then you will need to transfer it to a rigid container and put it in the freezer. Stir every hour or so to prevent ice crystals building up until set. 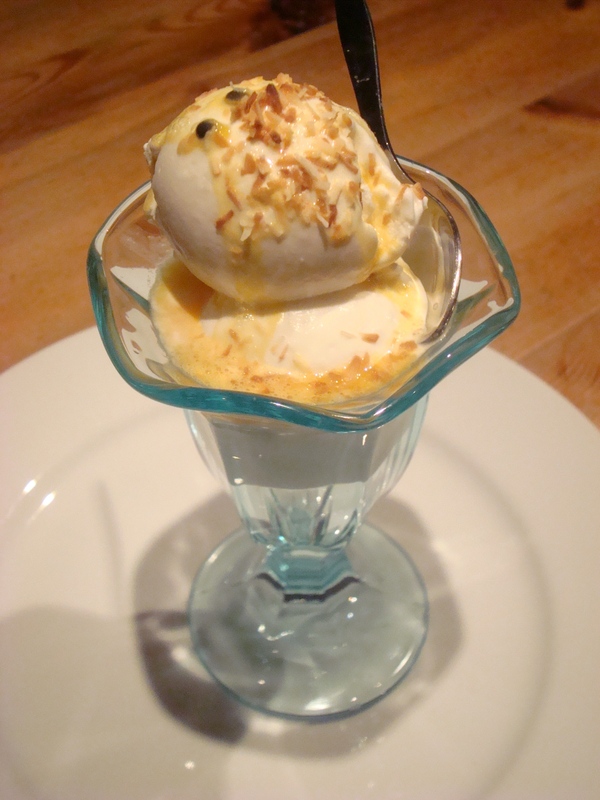 I served mine with toasted coconut on top and some passion fruit sauce (which was simply sieved passion fruit spooned over the top). I used the Greek style honey yogurt in honey banana muffins. I used a Hugh Fiercely-eats-it-all (as my friend Molly has christened him) recipe and substituted the plain yogurt for the honey variety and added a couple of small mashed bananas. 225g plain flour 2 t-spoons baking powder Pinch of Halen Mon sea salt (it’s the best) 100g castor sugar 1 medium egg 125g Rachel’s organic Greek style honey yogurt 125ml milk 75g Rachel’s unsalted butter 2 small mashed bananas Put twelve muffin cases into a muffin tray and preheat the oven at gas mark 4/180 degree C. Mix flour, baking powder, salt and sugar in a large bowl. Mix the egg, milk, yogurt and melted butter in a jug. Pour into dry ingredients and mix lightly. 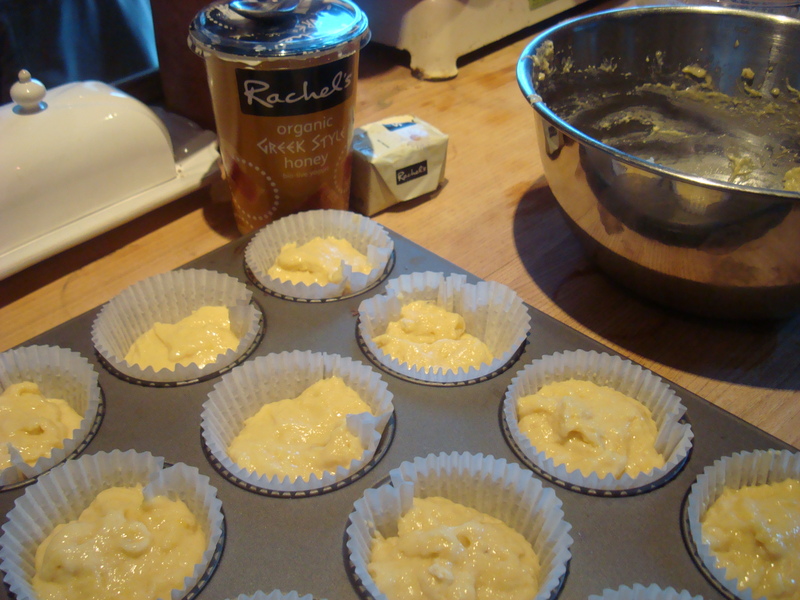 Be sure not to over mix as the muffins will be stodgy. Add mashed bananas and stir a couple of times to incorporate into the mixture. Spoon into the paper cases and cook for 30 minutes until golden brown. When cooked transfer to a wire rack to cool and eat! 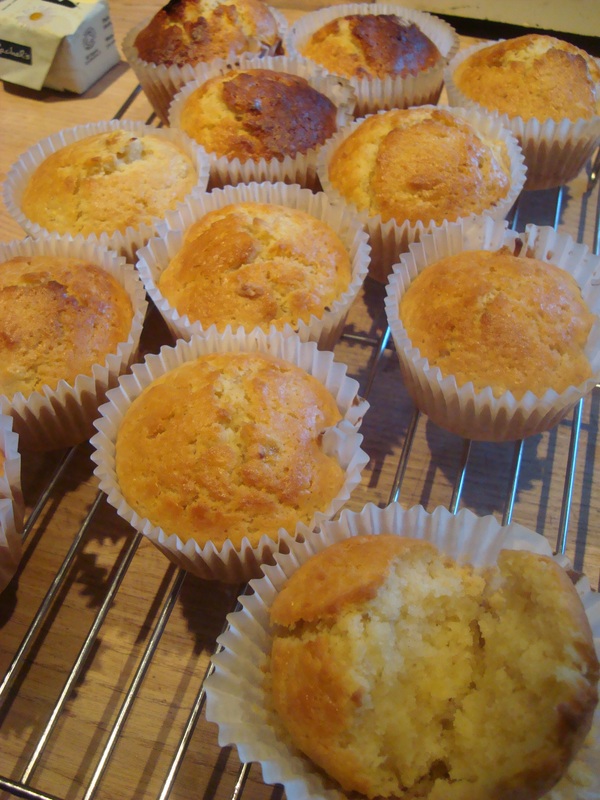 These muffins barely lasted an hour, the poor sick little un who has barely eaten all week (very unusual for him) managed two and the descending teenagers finished the rest….but then I did say they were best eaten fresh!